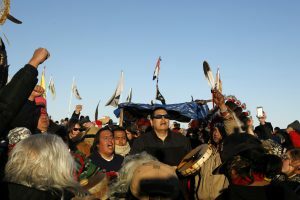 The U.S. Army Corps of Engineers announced Sunday it will temporarily halt construction of the controversial Dakota Access pipeline as it awaits a full environmental impact review of the project in North Dakota. The Corps on Sunday announced it would not approve permits for an easement through federal land that were filed by the Texas-based pipeline owner, Energy Transfer Partners LP, which plans to run a portion of a crude oil pipeline under a reservoir near the Standing Rock Sioux Reservation. 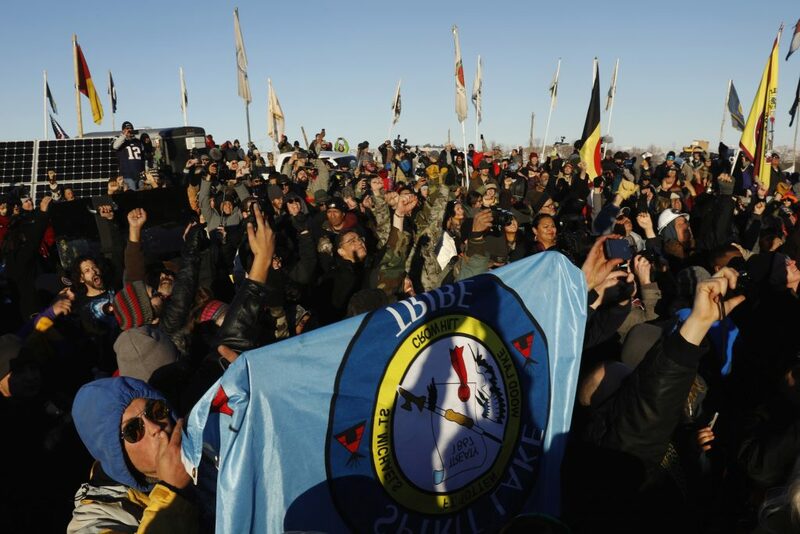 The announcement comes a day before the evacuation deadline set by the U.S. Army Corps of Engineers and the North Dakota governor’s office, which ordered protesters stationed for weeks near a pipeline construction site to leave the encampment by Dec. 5, and as thousands of U.S. military veterans vowed to protect the group, comprised of members of the Standing Rock Sioux Tribe and supporters. The $3.8 billion pipeline would stretch nearly 1,200 miles through four states, including portions of federal land in North Dakota that the Standing Rock Sioux Tribe considers sacred ground and part of their land under the terms of a 1851 treaty. The planned route also would run under Lake Oahe, which was created through a dam along the Missouri River. Lake Oahe runs for 231 miles from Oahe Dam in South Dakota to Bismarck, North Dakota. The project, which would transfer more than 500,000 barrels of crude oil each day 90 feet below the Missouri River, has been widely criticized by protesters for posing a risk to clean drinking water and disregarding tribal sovereignty. U.S. Secretary of the Interior Sally Jewell said in a statement Sunday that she supported the decision to delay construction of the pipeline.